Native to the Mediterranean but cultivated across the globe, the bay leaf is essential to most of the world's cuisines. With robust, woody flavor and their pleasant, slightly minty aroma, McCormick Bay Leaves add a world of flavor to long-simmering sauces or slow cooker dishes. Boil bay leaves with water and potatoes to add depth to your mashed potatoes to make them out of this world. 5.0 颗星，最多 5 颗星As expected. This spice arrived fresh and sealed. The only tiny thing I didn't like (nitpicking here) is that the vendor put a huge white sticker over the name of the spice, with the item number on it. (No, it doesn't come off easily, I tried and it tore the original label). If you have lots of similar-looking spices like I do, it's nice to have the label easily readable, instead of having to pick it up and sniff it to tell what spice it is. Other than that, I'm pleased with the spice freshness and quality. 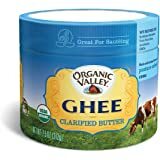 I use this for bread-and-butter pickles, although I add a few whole cloves along with this mixture. The resulting pickles are very similar to the ones older relatives used to make when I was a little girl. 5.0 颗星，最多 5 颗星THANK YOU FOR MY APPLE PIE SPICE! I searched our local markets for Apple Pie Spice to make my Apple Crisp and Deep Dish Apple Pies from the September apple crop. 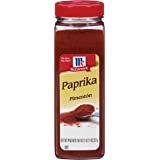 Could not find this spice anywhere! That's when I decided to order it online. 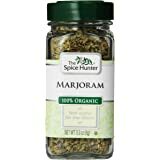 This spice really perks up the flavor without buying the spices called for in the recipe separately. Thank you, my order arrived just before baking day! 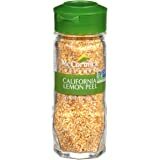 McCormick herbs and spices are a staple in my kitchen. While this dry parsley is a good product, I find that the flavor is not intense enough. 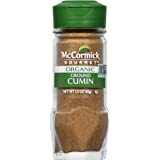 I'm so used with McCormick herbs to be packed with flavor that I'm a little disappointed in this product. Still, it's good to use in soups, casseroles, chilies, stews; not so great sprinkled on salads or pasta. The flakes are quite tiny and very dry. The packaging is bigger than regular McCormick ones, will last me a long time. The parsley flakes are on the larger side, meaning that most won't come out through the swifter. I need to fully open the cap and grab product with my fingers or some small spoon. 5.0 颗星，最多 5 颗星Very good quality herbs! - Oregano: Just opening the jar fills the kitchen with flavors reminding me of pizza in Italy. Works very well with Mediterranean inspired dishes, but for salads it's too dry. - Chives: I have never found more flavorful chives (even fresh). 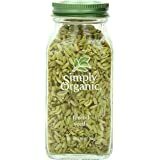 I add them to soups, salads, chilies, yogurt, cottage cheese, casseroles, roasted veggies, rice, pasta, anything. - Basil: The basil flavor is on a milder side, but still adds a nice touch. The sifter (when present) is enough for a light sprinkle. When cooking larger portions it's more efficient to use spoons.